If you were thinking, ordering through an app was all there to app development when it comes to shopping, think again. It is easily presumed that shopping is increasingly heading the digital road but it’s definitely not just e-commerce. Digitizing the way we shop while being present in the store itself is the new game. And Nike shows us the way. 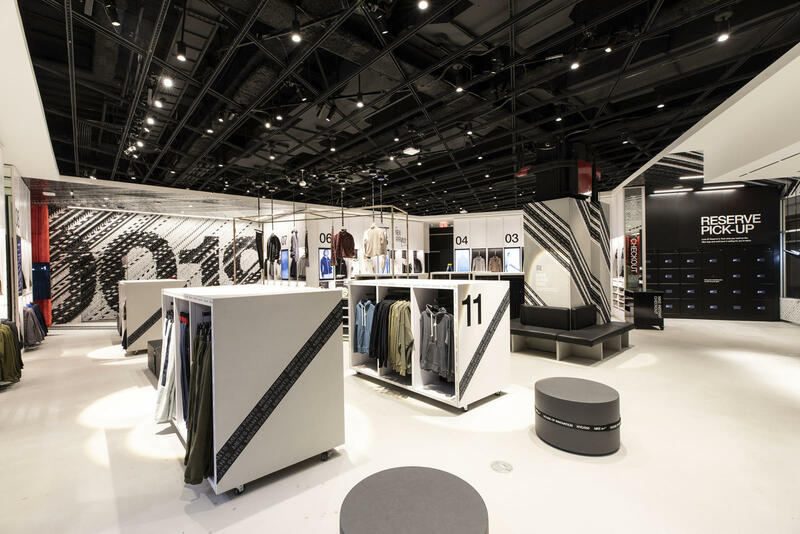 Nike has opened up its latest flagship store on 5th Avenue, Manhattan and has incorporated the coolest things to enhance shoppers’ experience like never before. Called the Nike House of Innovation 000, the store in the heart of New York has six floors and spans 68,000 sq.ft. The store is built with an idea that the shopper can shop anything right off the shelves even without a checkout. Everything is closely integrated with the app to assure seamless and a very personalized shopping experience. With this, the shoppers can digitally request an item that you liked to be brought to you, in your size by an employee. No hassle to first find a store executive, then explain him the situation and then wait for him/her to get you your desired shoe. Picture this: You really liked the mannequin’s ensemble. 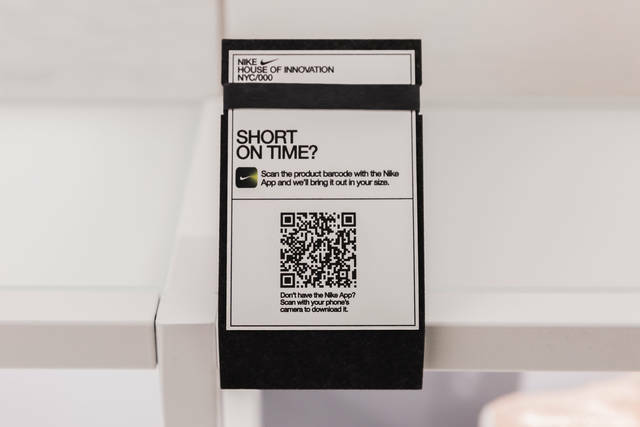 All you need to do now is to scan the QR codes on it to know everything about specific items, every bit of description, which all sizes and colors are available, then further request it to be brought to a fitting room and finally shop them. All at your fingertips. There is literally no employee interaction even here. All you have to do is scan and pay. No need to stand in queues and wait for your turn. Nike Instant checkout stations are positioned throughout the store so customers can bag their purchase and go. The receipts are generated within the app and stored there too, making it the most hassle-free way of checkout ever. The basement floor houses the Speed Shop where NikePlus members can have increased speed for shopping. 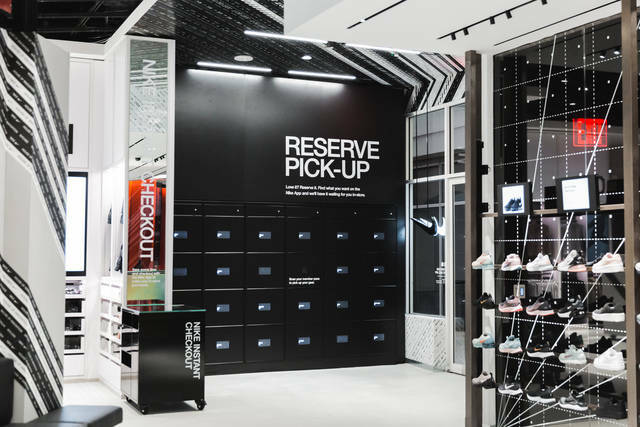 You can reserve whichever shoes you want to try online while passing your time or traveling, and then when you arrive at the store you can head straight to a set of lockers (The app unlocks on its own once you visit the store.) One of them will have your name on it, and you can unlock it using your phone. All the items you wanted to try will be inside. After you’ve decided which pair is right, you can use your phone to check out. You can be in and out of the store in minutes. 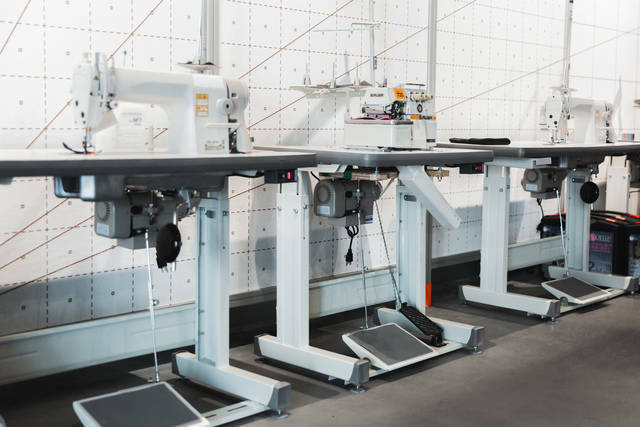 Keeping in line with Nike’s DIY spirit, this section allows the customers to add their own touch to their products. Plenty of fabrics, laces etc. and various types of equipment have been provided for customizing your Nike gear. There is also a Sneaker Lab which allows one to explore the largest ever collection of Nike shoes, all new arrivals, and the classics and know about them deeply. It is actually made to feel like a laboratory, behind the scene view of what goes into making that perfect sneaker. 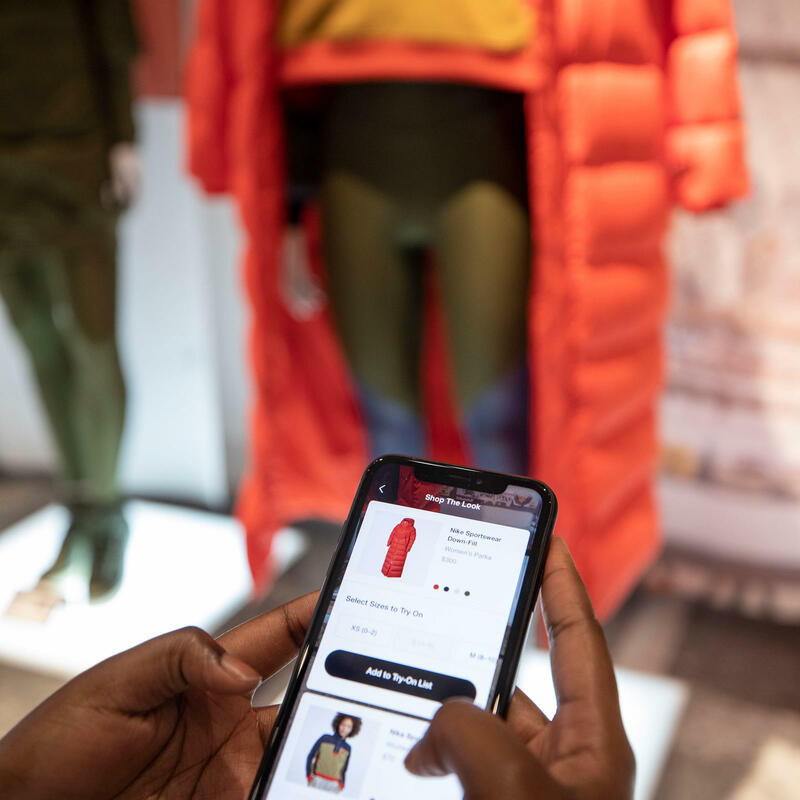 This cool utility, available to NikePlus members is a one-on-one service that they can book in-store and on the Nike App. This allows co-creating your ideal Nike garb with the help of a Nike Expert. This can be for anything – preparing for a marathon or finding the right fit for an NYC winter. This floor has a swanky lounge-like interior with fancy but comfortable chairs. There is no doubt that brick and mortar was facing stiff competition from online shopping today but integrating technology with the physical world to create never felt before experiences are the way forward. Nike’s method of ‘tech shopping’ is guarantees best of both the worlds. The app allows exclusive, personalized service, and the store itself does not compromise on the ‘touch and feel before you shop’ advantage of physical shopping. If you are looking to get the perfect app for your enterprise, which integrates with all aspects of your business, consult the leading software companies and check out their portfolios they have built for clients in the US today. A lot of them offer a free consultation to kickstart your dream idea. Previous Post Applify Recognized Among the Top 300 on the Clutch 1000!